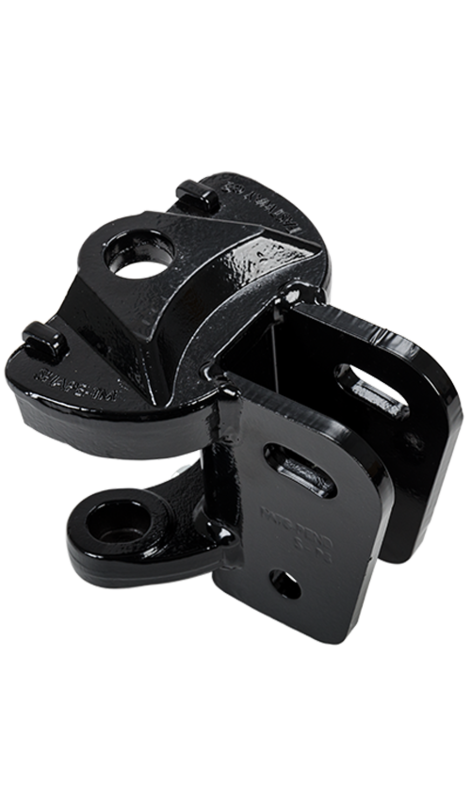 For a secure, stable trailer, you need the Fastway® ONESTEP™ stabilizing wheel chock. 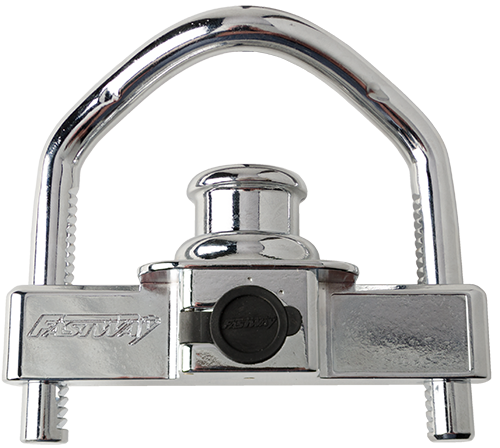 It positively locks both wheels securely in place, allowing you to freely move around in your trailer, with virtually no wheel movement. Whether you are cooking, drinking coffee, or getting up in the middle of the night, you don’t have to worry about your trailer moving. A stable trailer means less spills and frustration due to trailer rocking, and better sleep when your family gets out of bed for a drink or to use the bathroom. Buy today and get $10 off plus FREE SHIPPING! 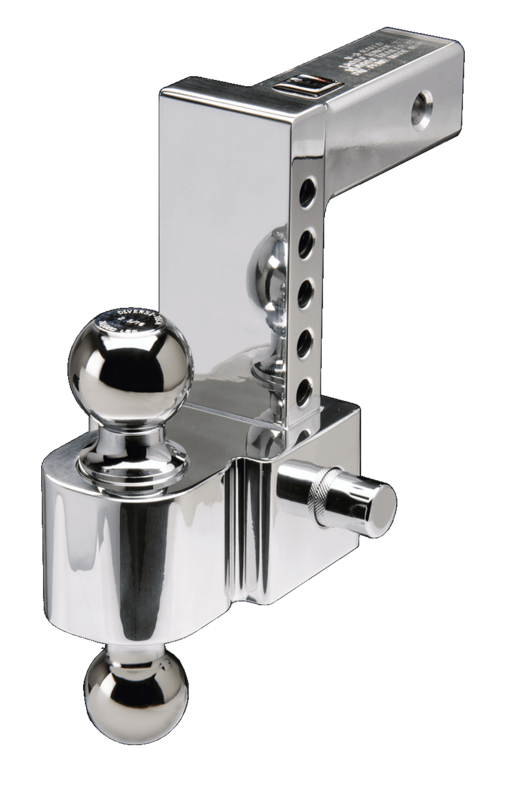 After determining the most secure measurement for your trailer, the ONESTEP easily slides into place and can be placed, locked, and removed from a standing position. 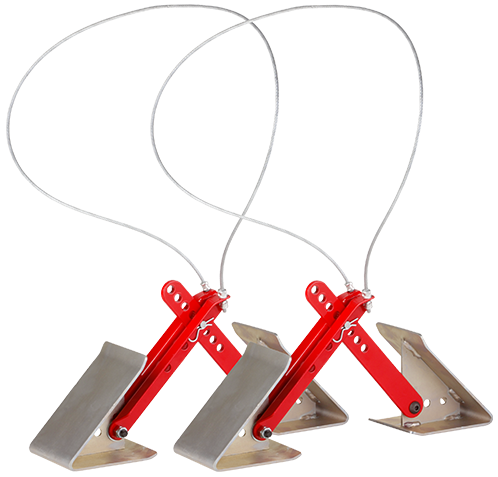 It is considerably faster and easier to use than chocks that require ratcheting, saving you time and hassle. 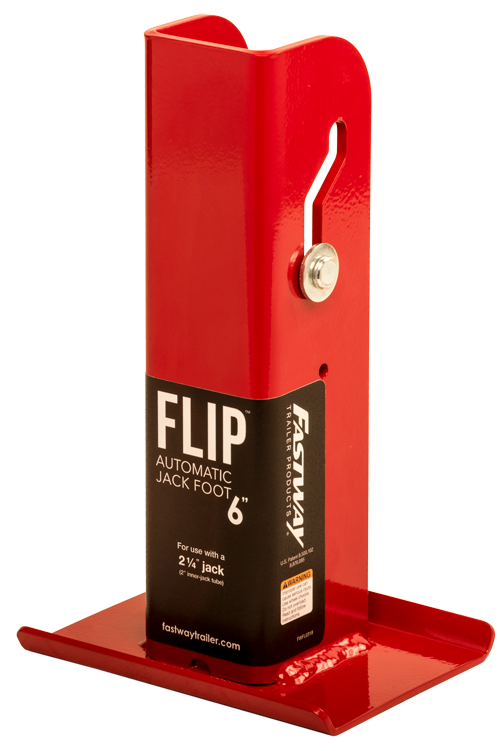 The ONESTEP offers a custom fit for every trailer, giving you ultimate stability. Fits Tandem Axle trailers with typical axle spacing & suspension. UV resistant coated cable handle. Minimum length (wedge tip to wedge tip): 16 inches. Maximum length (wedge tip to wedge tip): 24 inches. 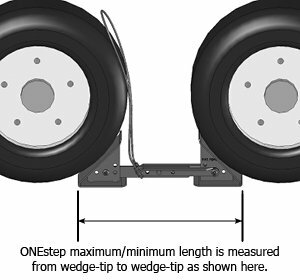 Fits Tandem Axle trailers with extended or “Wide –track” suspensions. Maximum length (wedge tip to wedge tip): 30 inches. Every step I took in our trailer made it rock, even though I was using plastic chocks. The ONESTEP locks my tires together, virtually eliminating all movement. 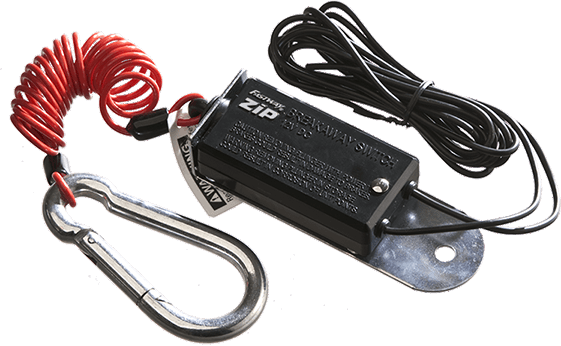 I highly recommend this product to anyone that has a camper trailer or fifth wheel. These chocks are awesome. 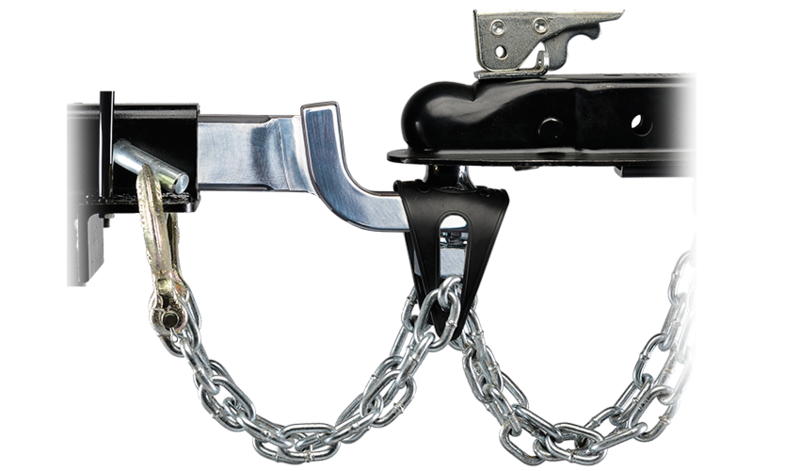 Once I have them in place, I use a lock to secure them to the wheel, and I take off hunting for hours knowing nobody can steal them or my trailer! Thanks for a great product. Just a comment on your ONESTEP chock. I have two which I use on each set of wheels. They provide great stability and reduce trailer movement to nil... bottom line... excellent product! Works much better than all the other gadgets on the market. I use your chocks for my horse trailer. Even when my horses are moving around, my trailer stays put. Thanks, Fastway! Written By: Daniel and Beverly E.
Picked up a ONESTEP today to go with my Fastway ZIP breakaway cord. LOVE your products. You make camping even MORE enjoyable by taking ALL the work out of setup and tear down. Just wanted to say thanks for the GREAT product. My husband has MD and it is hard for him to kneel down or squat. With the ONESTEP he can place and remove the chocks so easily! What a great product. We also have noticed a big difference inside our trailer with the chocks. It doesn't move around nearly as much. Before the ONESTEP, every time our kiddos would get up to use the bathroom at night, our entire trailer would roll a little. We were using cheap plastic chocks before. We are so glad to be done with them! I love the ONESTEP chock. It is nice to do everything from a standing position. Plus they are very durable. I don't want to admit this, but I accidentally drove over mine once and the chocks looked like nothing even happened. I was shocked. Thanks for a great product. I have two sets of ONESTEPS, one for each side of my trailer. They are awesome. The more I use them, the more I like them. I used to use a big pile of wood blocks. Now I can definitely tell a big difference in how steady the trailer is when we're moving around inside. The thing I really like the most is the cable handle to pull them out. You can lock them down tight so the trailer is really steady, but even then it only takes a tug to remove them. Even when the trailer shifts a little when it uncouples, you can still pull them out easily. Not like when I was using the old 2x4s and I would have to kick them or hit them with a hammer to get them unstuck. I love these things. Totally worth every penny.